See, Make and Do at the Museum: Join us for our early openings at the Museum aimed at children who have autism and other needs, along with their families and carers, and siblings. Activities take place before the Museum opens to the general public and there will be a quiet room available too. See objects, do activities & make creations inspired by one of the Museum’s galleries. A different gallery will be open at each early opening. The Autism early morning openings take place on the Second Saturday of every month. These sessions are Drop-in, there is no need to book and entry is FREE. These sessions are Autism Friendly: suitable for children and young people aged 5-16 with a parent or carer and siblings welcome. 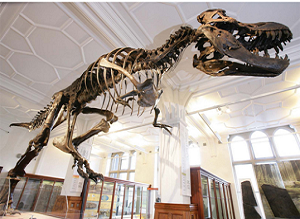 Click here for more information about Manchester Museum if you are planning a visit. There is no need to book onto this activity. Parent/carer must stay, siblings are also welcome.